What is a Business Connectivity Service? Why use business connectivity services? How to deploy a Business Connectivity Service? 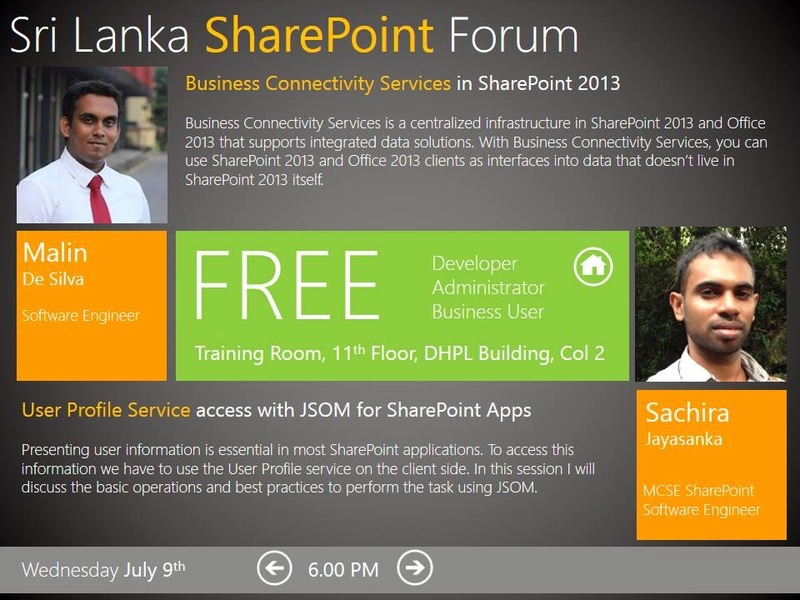 These were the key questions focused for the first session for the SharePoint Sri Lanka User Group meeting for July 2014. Connecting data from external data sources to SharePoint is something developers may see challenging. SharePoint 2013 has a really good feature (which was in SharePoint 2010 as well) further improved with multiple data source supports as well as features such as remote event receivers. External Content Types provide the facility to connect the data to SharePoint and a Secure Store Service application can be used for providing the better authorizations. Slides of the presentation can be downloaded from below. Event flyer is posted below.